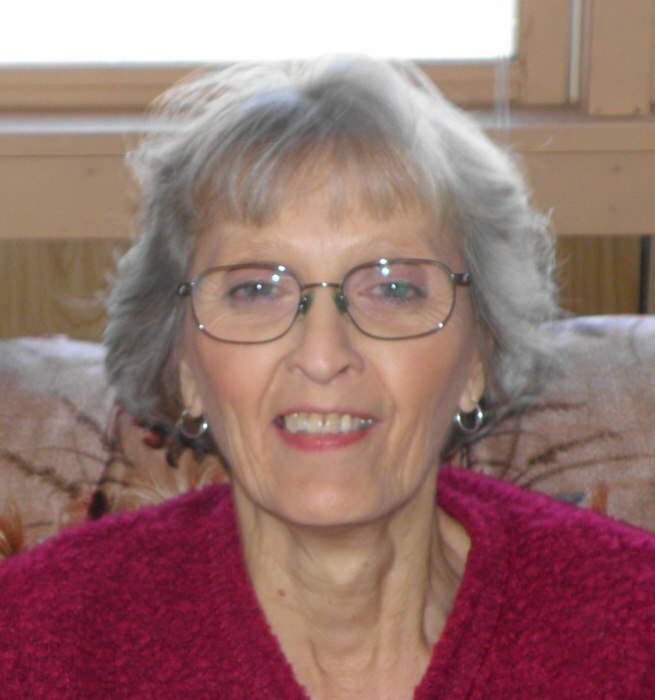 Diannia Marie (Blake) Polley died peacefully surrounded by family, at IU Health Hospice House in Bloomington, Indiana on January 27, 2019 at the age of 77. Dian was born on July 28, 1941 in an old farm house in Bloomington, Indiana to Lloyd and Dorothy (Hamlin) Blake. She was soon given her childhood nickname of “Pug” and lived the old country farming life. She graduated from Bloomington High School in 1960. Dian met her husband, Jerry, in October of 1962 at the bowling alley and married soon after on April 5, 1963. She began working at Cummins News, and dedicated 42 years in Accounts Payable up until her retirement in 2005. Over the course of their marriage, they welcomed their 2 children, Jay and Gina, which became the apple of their eyes. She enjoyed her busy life that included following her kids around the farm and on the athletic fields. She loved spending time with her mother and sitting on the porch with the warm summer breeze. Being a Mamaw was her favorite title. She loved following her grandchildren and great-grandchildren to any and every sporting event and taking picture after picture. Her photo albums are filled with gymnasiums, football and softball fields. She was excellent at capturing the perfect flower/butterfly moment, the sunrise over the cow pasture, random deer jumping through the fields and surprise photos of her loved ones. She will be remembered as a charismatic daughter; loving wife; supportive, caring mother; and the most encouraging, proud Mamaw. Dian is survived by her mother, Dorothy Blake; loving husband of 55 years, Jerry Polley; children, Jerry "Jay" Polley Jr. (Michelle Muzii) and Gina Ingram (Jerry Paul); her brother, Lloyd E. Blake Jr.; her 4 grandchildren, Amber, Zach, Allisa, Scottie; and 5 great-grandchildren. She was preceded in death by her father, Lloyd Blake Sr.; her brother, Daniel Ross Blake; and her sister Deanna Melody Blake. Funeral service will be held at West & Parrish & Pedigo Funeral Home in Spencer at 4:00 P.M. on Wednesday, January 30, 2019. Visitation will be held at the funeral home on Tuesday from 4-8 P.M., and Wednesday from 3:00 P.M. until the time of service.